The Forest of Bowland Area of Outstanding Natural Beauty (AONB) is home to a number of farms which offer educational access to schools and groups, thus enabling people to learn about the outdoors in a farm setting within the fantastic landscape of the AONB. The Forest of Bowland offers a wonderful resource for learning: there are opportunities to study science, geography and history by investigating wildlife, habitats, food production and heritage; or students can gain inspiration from the landscape to study maths, English, art and other subjects. Carrying out studies on farms means that teachers and pupils can be assured of a safe, welcoming and informative environment. The farms offer farmer-led talks and walks, and provide indoor classrooms or shelters, toilets and hand-washing facilities; they also offer a variety of activities, from watching the milking, to carrying out art and craft projects. 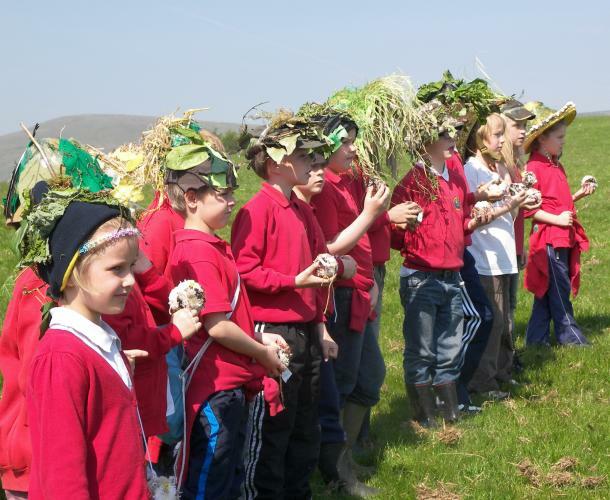 Visits can incorporate curriculum based projects and lessons, or simply give groups the chance to be outdoors and find out more about what goes on at a farm. If you would like to apply for a Farm Visit Transport Fund bursary for your group, please complete the on-line registration form. Alternatively, contact the AONB office on 01200 448000 and we will post a form out to you.